Farewell, Daily Post: A Very Special MCC Clipfest « Midlife Crisis Crossover! Some photos saw higher traffic and consequently garnered more Likes because I responded to the Challenges more quickly, when bloggers were at their most eager for interaction. Some had the fortune of being posted on slow internet weeks when readers were starved for new entertainment. Some had solid stories to go along with their visuals. Some were simply better photos than our standard fare. Some were just lightning in a bottle. 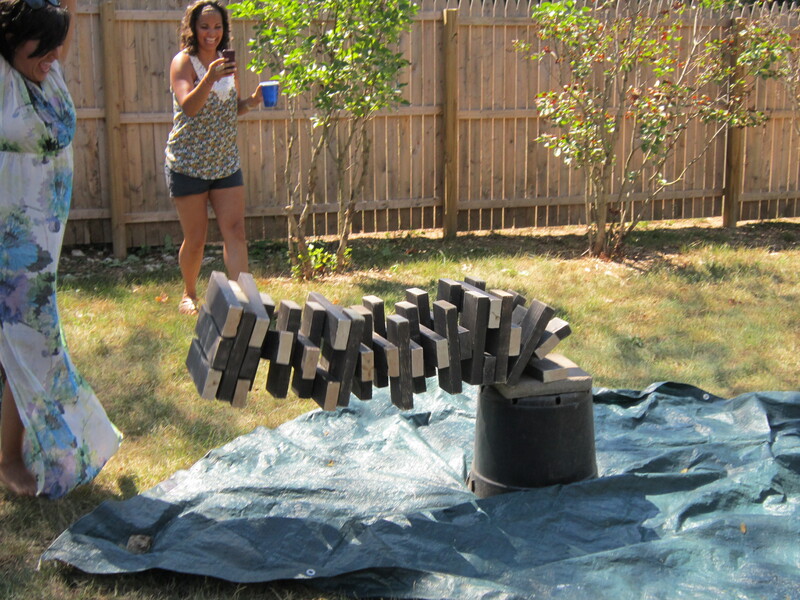 Some of them are my favorite photos, such as our Mega-Jenga lead photo. That lucky split-second (and it was me borrowing my wife’s camera, at that) previously appeared in our 2012 year-in-review, the only one of MCC’s 95 Weekly Challenge responses that ever earned a “Freshly Pressed” spotlight boost because an editor found it worthy. Audience attention is so rare for MCC that it’s not hard for that moment to stick out in my mind. And now, we present our very special MCC clipfest and the prompts that inspired them or just so happened to encompass them at the right time. We bid a fond farewell to The Daily Post, wish them well in their next projects, and hope they won’t forget about us tinier legumes down here in the Peanut Gallery. Cheers! 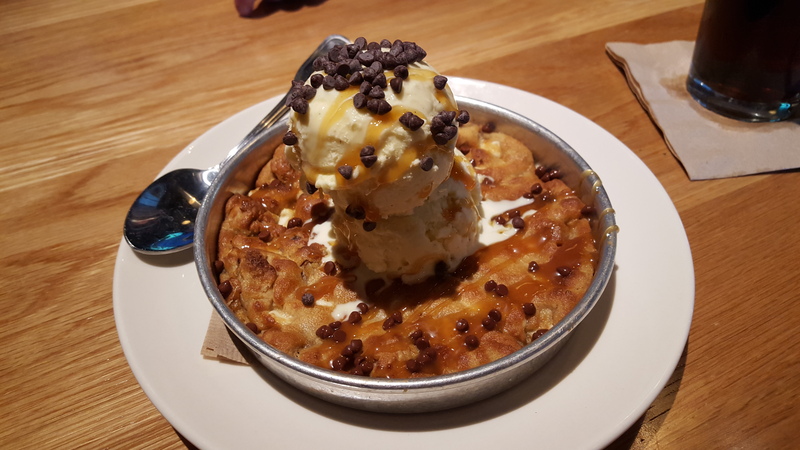 2015: “Treat” — A Salted Caramel Pizookie from BJ’s Restaurant and Brewery, which proves often subject matter trumps technique. 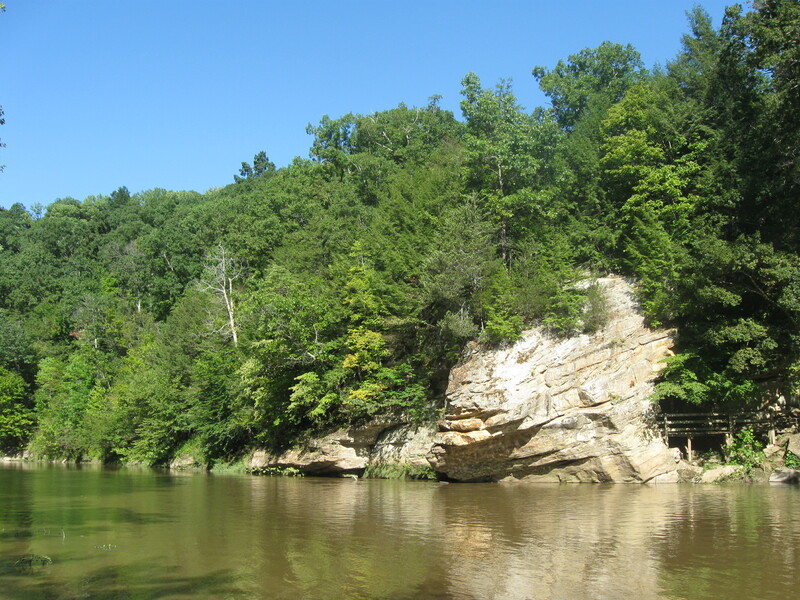 2012: “Green” — This late-summer shot from Turkey Run State Park was one of several parts of an all-green gallery. Two other shots were actually sneak excerpts from Our 2009 Road Trip, which we’re now in the middle of remastering for MCC. 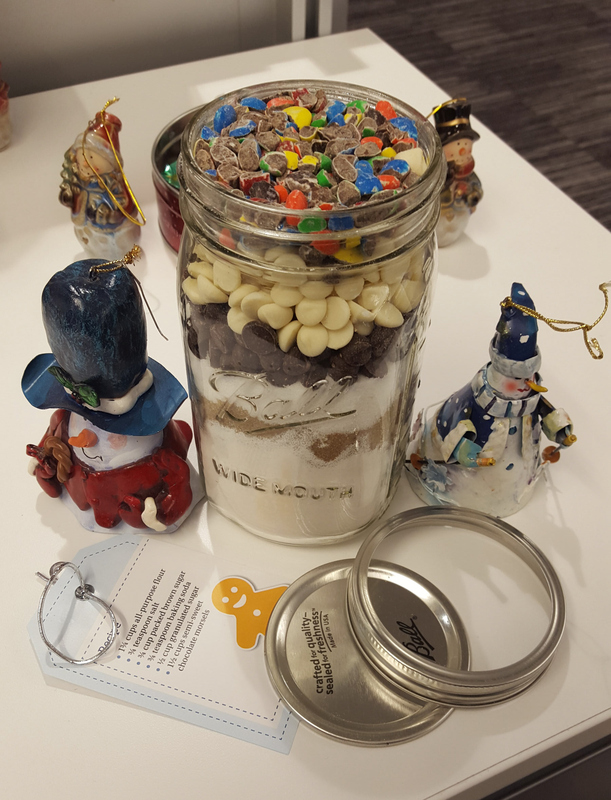 2016: “Anticipation” — That time my employers gave us the gift of Christmastime baking ingredients, among the best kinds of holiday fun. 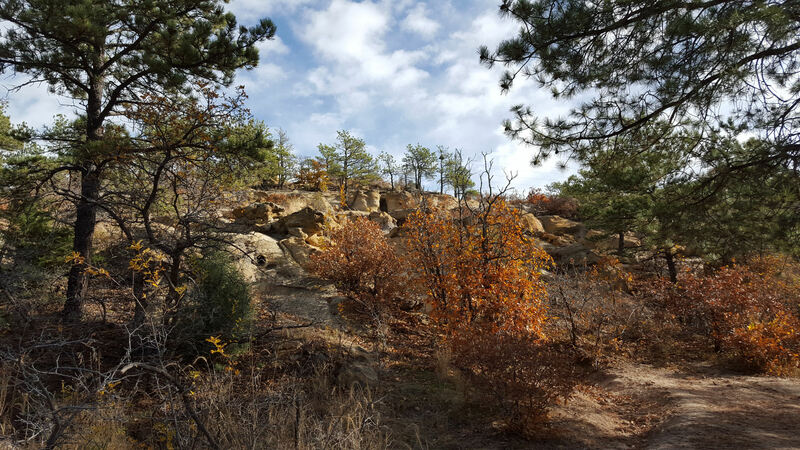 2015: “Landscape” — Palmer Park was an unplanned but lovely stop on my mostly one-man tour of Colorado Springs in the fall during my wife’s one and only business trip to date. 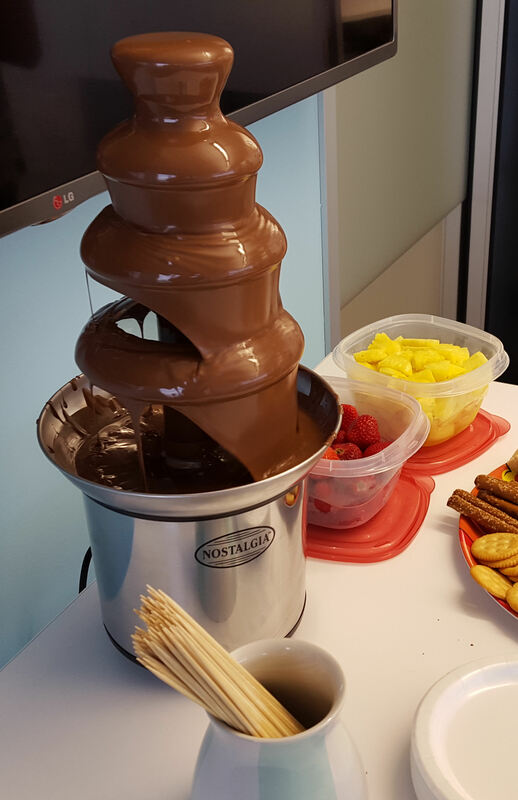 2016: “Fun” — Rare appearance of a fondue set at a work pitch-in courtesy of a grandmotherly coworker who’s retiring later in 2018 and threatening to take her fondue set with her. I WILL FIGHT HER FOR IT. 2017: “Waiting” — Last year my mom had open-heart surgery. 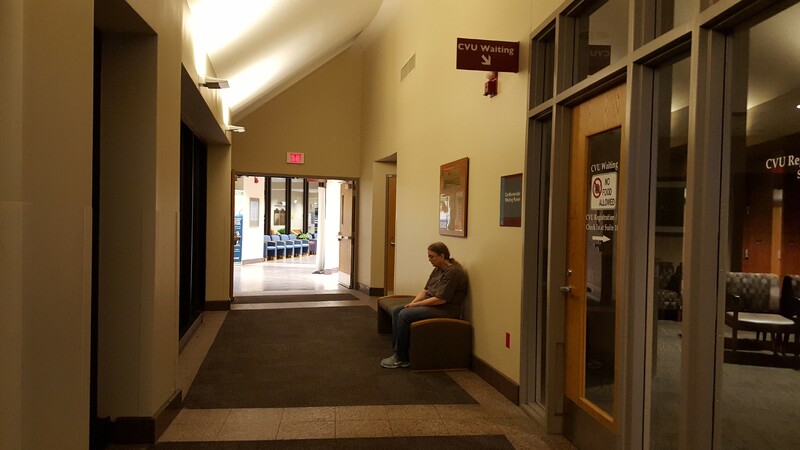 We arrived shortly after 5 a.m. and had to bide our time in the cavernous hospital hallway until the surgeons were ready to commence one of the most serious days in our lives. 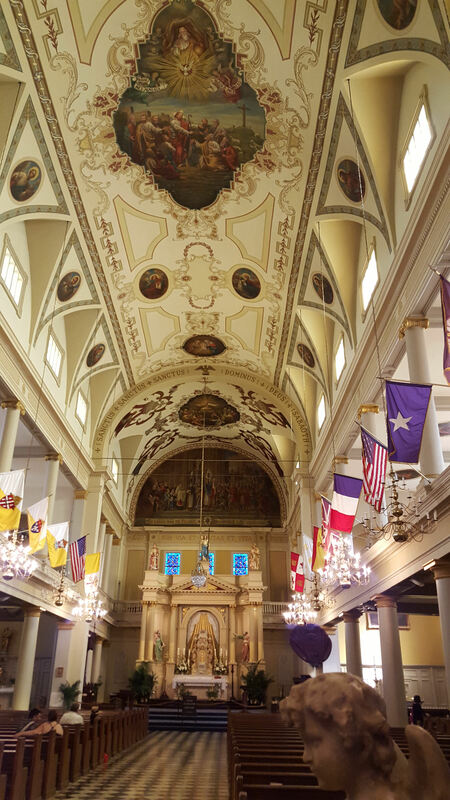 2015: “Ornate” — St. Louis Cathedral in New Orleans, as viewed through the widescreen lens of my Samsung Galaxy S6 that finally had to be retired in May 2018 because every feature in it went obsolete except the camera. 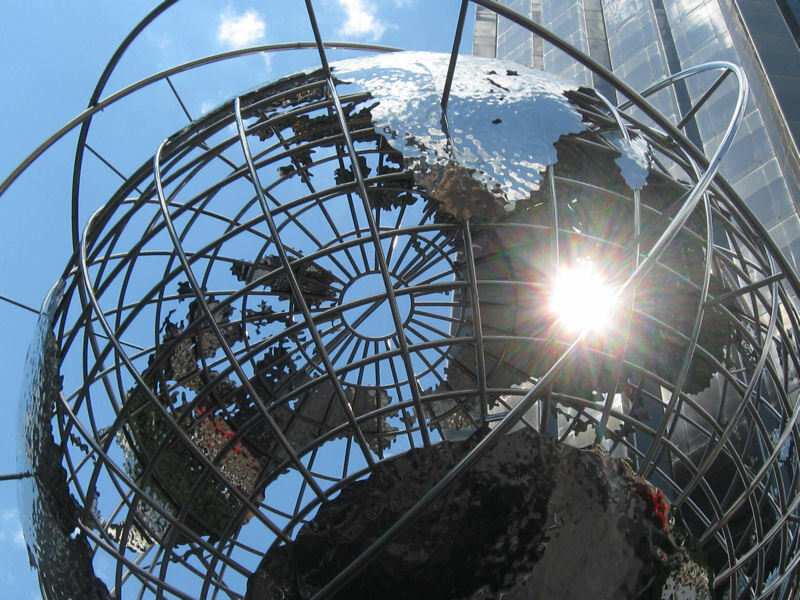 2013: “Lights” — The sun shining through the big metal globe on Manhattan’s Columbus Circle as we emerged from the subway station below. 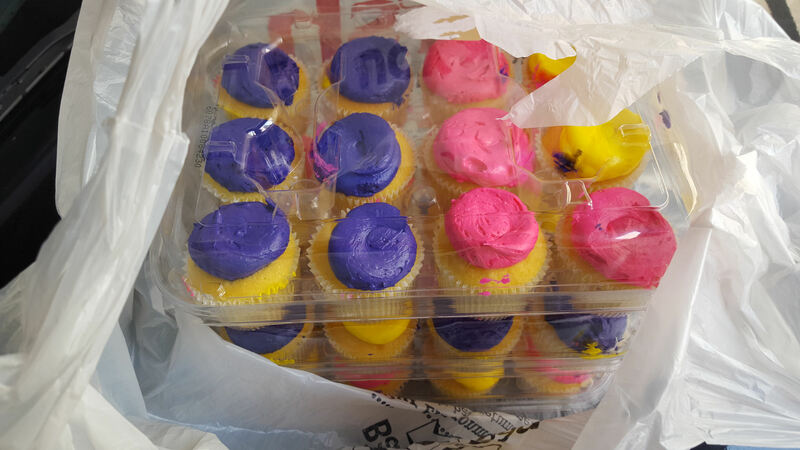 2016: “Spare” — These unused mini-cupcakes were an epilogue to my mom’s retirement party. Either readers enjoyed my breezy anecdote that accompanied this nothing-special photo, or they just really, really love sugar. 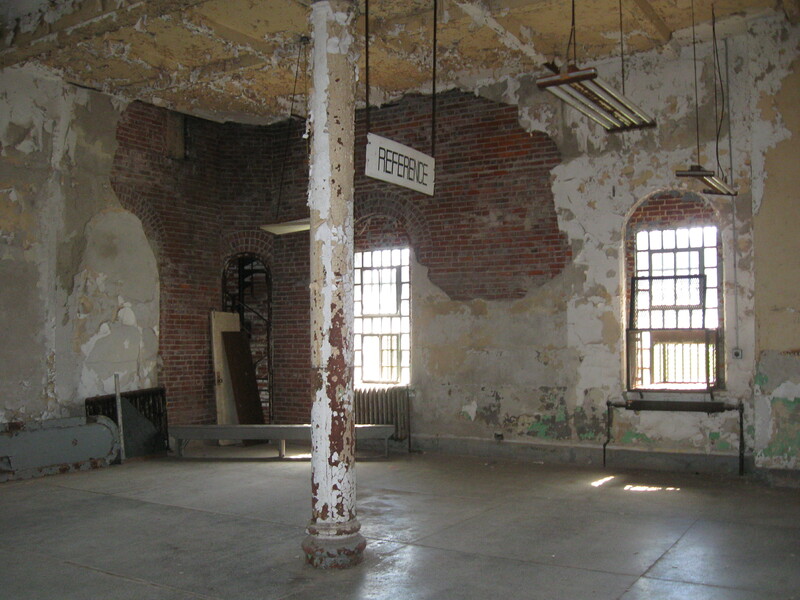 2014: “Abandoned” — The former prison library at Ohio State Reformatory, where visitors can tour where hardened criminals once roamed and parts of The Shawshank Redemption were filmed. 2012: “Reflections” — We recently shared our first encounter with Chicago’s “Cloud Gate” sculpture — a.k.a. 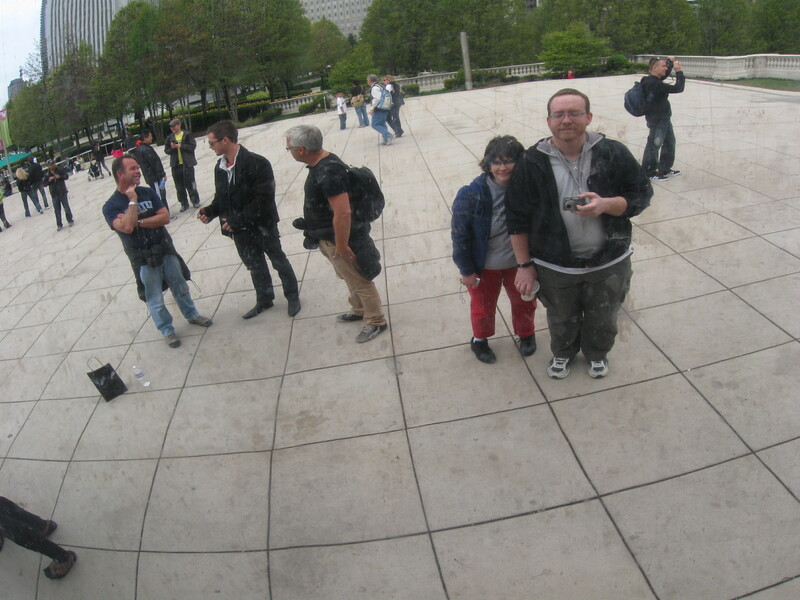 “the Bean” — on our 2009 foray into Chicago. This pic is from one of our many walks through the Windy City in the years since. If you’re interested in seeing 80+ more offerings like this, you can follow along with either the “Weekly Photo Challenge” tag, or the “DPChallenge” tag that, if you travel far enough back in time, also includes some Weekly Writing Challenge essays, one (1) piece of short-story fiction, and a few photo challenges that I forgot to tag with “Weekly Photo Challenge”. Enjoy!